Julian Casablancas (born August 23, 1978 in New York City, New York) is the lead singer and songwriter of the American rock band The Strokes Julian Casablancas is half American and half Danish and the son of John Casablancas and Jeanette Christiansen. His parents divorced when he was young. He attended kindergarten with future bandmate Nikolai Fraiture. Early in his teens, Julian's father sent him to the Institut Le Rosey in Switzerland. This was where Julian first met Albert Hammond Jr., one of few other American students on campus. Julian Casablancas is half American and half Danish and the son of John Casablancas and Jeanette Christiansen. His parents divorced when he was young. He attended kindergarten with future bandmate Nikolai Fraiture. Early in his teens, Julian's father sent him to the Institut Le Rosey in Switzerland. This was where Julian first met Albert Hammond Jr., one of few other American students on campus. When Casablancas returned to New York, he continued his education at the Dwight School, where he met Fabrizio Moretti and Nick Valensi. Julian later dropped out because he felt like he "just wasn't learning anything" there. 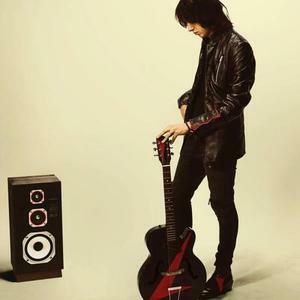 During his hiatus from The Strokes, he released a solo album called "Phrazes for the Young" on the 9th of November in 2009. To date, the Strokes have released Is This It, Room on Fire, First Impressions of Earth, and Angles.